David Ulin is the author of The Lost Art of Reading: Books and Resistance in a Troubled Time and Sidewalking: Coming to Terms with Los Angeles. 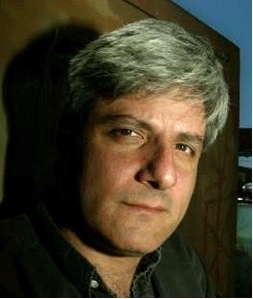 He edited the Books section of the Los Angeles Times from 2005 – 2010. His last name is pronounced you-lin. Wim Wenders is the director of Wings of Desire and Buena Vista Social Club. This interview from the DwT archives was taped in 2005. Check out the restored print of Wings of Desire on Sunday at The Egyptian in Hollywood.